Don’t you just love when you visit someplace and it exceeds every expectation you could have had about that place? That’s how I felt about the Phoenix Zoo. It truly is a world class zoo and a definite must see if you are in the Phoenix area. The first area of the zoo we visited was the Arizona Trail. Its a wonderful tour of the wildlife indigenous to the area. Since this is the desert, there are plenty of lizards and snakes to the view as well as desert mammals such as coyotes, mountain lions, big horn sheep, and adorable little prairie dogs. Just outside the trail, volunteers had stations set up with touch stations. Mari touched a Madagascar hissing cockroach. It took everything I had in me not to scream. I can handle most creepy crawlies, but cockroaches are not one of them! Another highlight of the property is the Monkey Village. It is basically like an aviary filled with squirrel monkeys. There are no cage walls between you and these adorable wild animals. It was very neat to see monkeys in trees and on ropes less than 10 feet from us. During our visit to the exhibit, a monkey actually caught a bird that was flying by and proceeded to eat it! It seemed to be a rare occurrence because the zoo keeper seemed pretty surprised by what she was seeing. Luckily, the monkey was high in the trees and my kids couldn’t see what was going on. I am not sure Mari would have appreciated the more graphic side of nature. Another thing I saw at this zoo that I haven’t seen at other zoos was bikes. Some people brought their own bikes to use as transportation around the zoo while others rented those fun four seater bikes that you typically see at the beach. They even had bikes with two seats in the very front for little riders who weren’t up to pedaling. For people who prefer to do their pedaling over water, there are paddle boats on the main lake. For those of us who won’t be making it to Arabia any time soon, the camel rides are a great experience. It was so watching my kids laugh and smile as the camel lumbered along with them on his back. Another thing this zoo does right is provide incredibly fun and unique play areas. Where else can you slide through a saguaro cactus? My kids especially loved the two story wooden playhouse complete with tunnel slide. There is small creek running near the playhouse that provides a fun place for little ones to get their feet wet on a warm day. Of course, everyone can still get their fill of giraffes, rhinos, and lions as well. Not to mention lizards large enough to take down water buffalos…. The Phoenix Zoo is open 9-5 for most of the year, except for during those scorching Phoenix summers when the hours change to 7-2 on weekdays and 7-4 on weekends. My advice: try to visit the zoo in the cooler seasons. The animals will be much more active. Cost is $16 for adults and $7 for children ages 3-12. Under three are free. For more information on the Phoenix Zoo click here. Hey you have a Comodo dragon! Our zoo is fantastic too (on of the world top 10 zoos) and the Lil Miss loves the Comodo dragons. I am saving up starting now. I love zoos and have never been to AZ. I love going to the zoo. I can't wait until my babies are old enough to make it realistic to visit. It is fun to find a twin blog with older twins because it helps me see what might be in my future! Thanks for stopping by my blog on the blog trot. 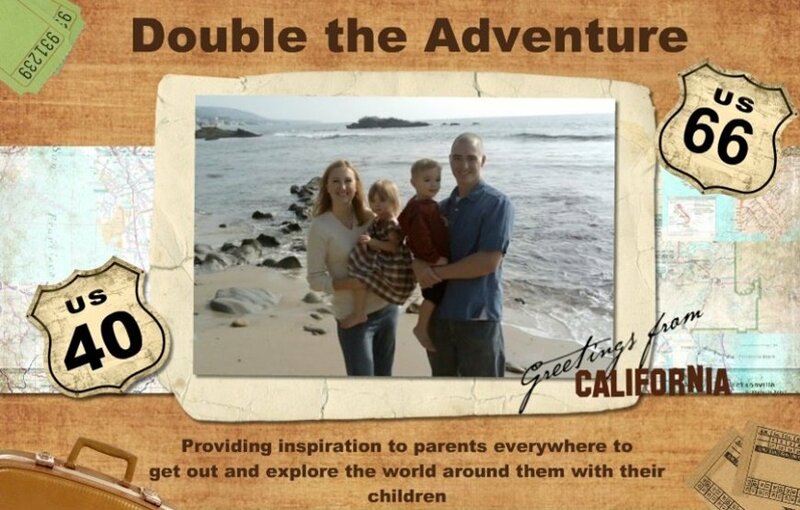 I love finding twin mom's to share and hear about the experience, trials, and lessons learned. Looks like plenty of fun there and I like the transport from bikes to camels. We have an excellent zoo in Bristol too. Wow, is a great zoo. They look so beautiful and clean, not the same as our zoo. Wonderful pictures. Stopping from Multiples and More.... Also following your blog. I am hopping over from M&M. 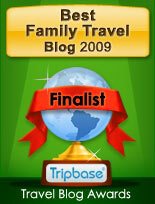 You have a fun blog and a beautiful family! What awesome pictures of your zoo. Wow! What a fun day! And a camel ride to boot! Popping over from M&M! Fun Blog! Have a Happy Easter! hopping over from delicious baby! - what fun photos!! The monkeys are just hillarious...the kids just love watching them! We're inspired...we're going to out local zoo this week. Jamie- we went to Z Tejas one night and it was pretty good. More tex mex than authentic food. If you are looking for good food in general, Four Peaks Brewery in Tempe is AWESOME!!! Looks great. Next time i'm in phoenix I'll have to stop by. I'm not sure if my wife would like the cockroaches either. My boys would love it though!